Mehserle, 28, told the court that he had trained with his police-issued Taser less than 10 times before the New Year’s morning incident during which he shot and killed Grant. He had extensive practice with his firearm dating back to his time at a Napa police academy. Michael Schott, an expert in forensic image analysis retained by defense attorney Michael Rains, told the court that a video which appears to show former BART Police Officer Anthony Pirone punching Grant in the face actually shows nothing of the sort. 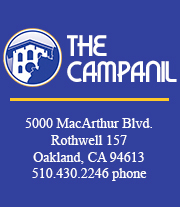 Tashina is a contributing writer for The Campanil. She is a senior international relations and Latin American studies double major with a minor in journalism.